The ORLASER106 Pinwheel is the ideal effect solution for simple, cost effective single laser systems. Wide beam angle and dynamic patterns make the Pinwheel an outstanding, simple stand-alone effect for small venue applications. 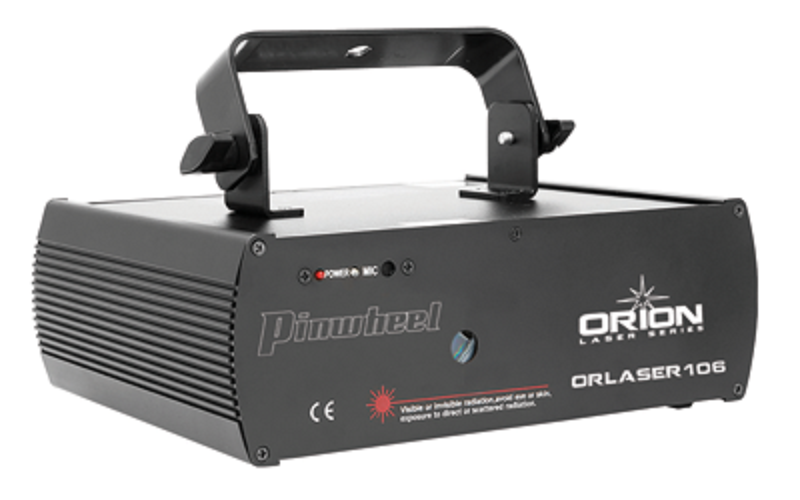 The Pinwheel, when used in conjunction with other LED lights and lasers makes a great central focus feature for dance floors or as a ceiling pattern.